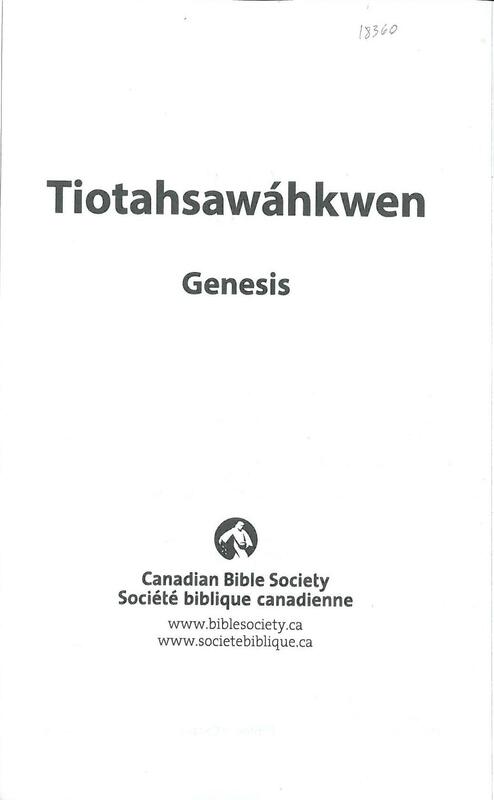 The first portion of the Bible to be translated into Mohawk was a version of Mark’s Gospel included in a Prayer Book published in 1787. 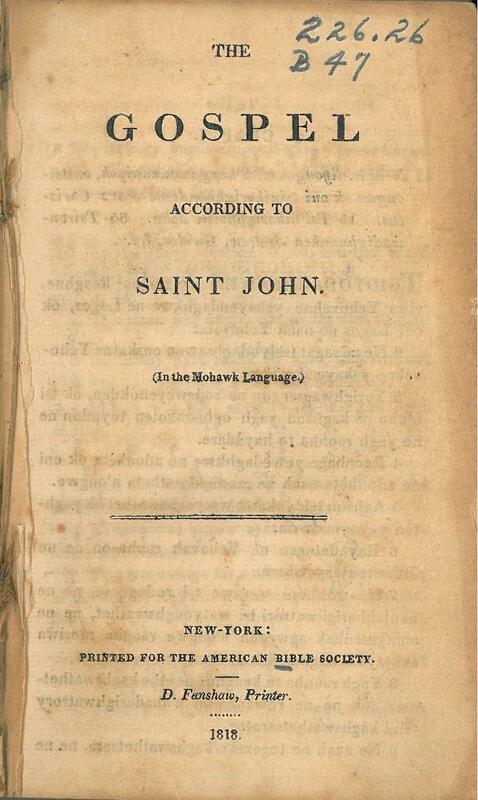 In 1804 the newly-founded British and Foreign Bible Society released its first publication: a Mohawk version of John’s Gospel prepared by John Norton (c. 1760-after 1826), a printer, soldier, interpreter, trader, and Mohawk chief born probably in Scotland of a Scottish father and a Cherokee mother. 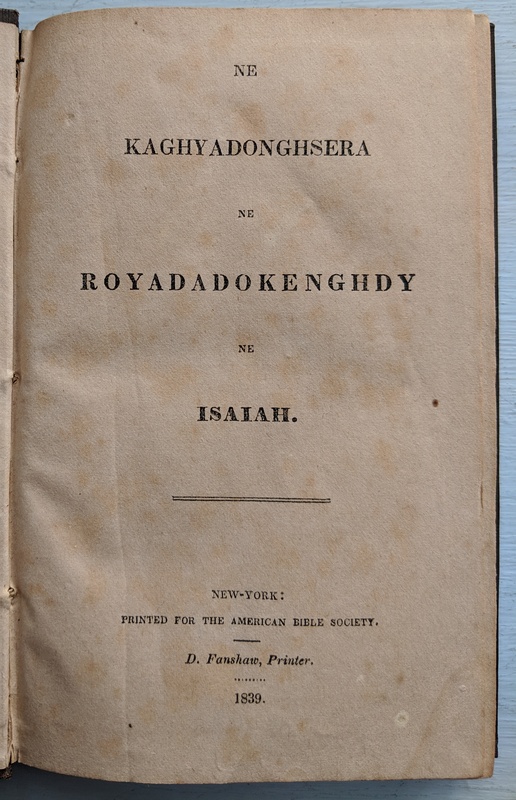 As Mohawk was the principal language of the Six Nations of Iroquois Confederacy, and had about 2,000 speakers, ABS decided to republish the 1804 British edition and had its printer, Daniel Fanshaw, produce 1,000 copies in October 1818. The British edition included an errata for the Mohawk text. The American edition, instead of having the errors corrected, updated the errata to fit its own pagination. 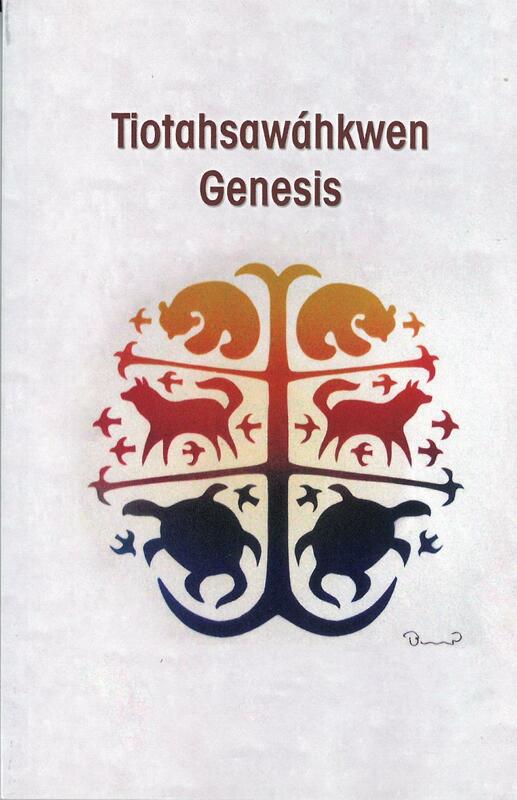 The publication of the Mohawk Gospel was met with skepticism by ABS supporters who thought that the distributing to the Indians English Scriptures was a better way to convert and “civilize” them. It was also pointed out that many of the 2,000 copies of the Gospel printed by the British and Foreign Bible Society in 1804 had probably never reached the Indians and made no impact upon them. These considerations led ABS to distribute fewer than 40 copies of the Mohawk Gospel in 1821 and 1822 and stop distributing it in 1823 and 1824. 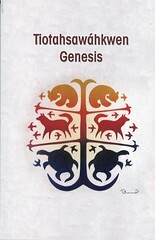 However, a fresh assessment of the situation led to the conclusion that Mohawk Scriptures were truly needed and ABS soon renewed its efforts to produce them. References: Darlow & Moule 6799. Comment: A complete copy sold for $3,500 at the Charles Ryrie Bible Collection sale by Sothebys in December 2016. 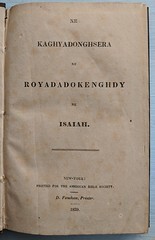 Title: Ne kaghyadonghsera ne royadadokenghdy ne Isaiah. Publisher: New-York : Printed for the American Bible Society, D. Fanshaw, printer, 1839. Comments: "Translated, apparently, by W[illiam] Hess [a Mohawk Indian], under the supervision of W. Case of the M.E. Mission in Canada" — Darlow & Moule 6808.